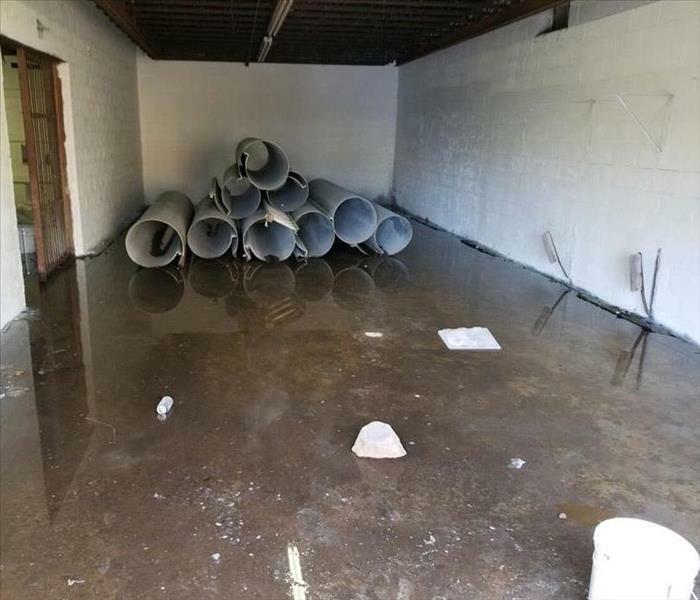 Here we see a basement in a commercial building within Charlotte, NC. The constant rainwater has began to flood the basement. Our construction crews were able to find the leaks on the foundation and began the repairs once the storms past. Here is a picture of our SERVPRO employees putting in hard hours late in the night at a mold job! The walls were covered in plaster over concrete walls, meaning we had to use heavy air hammers to knock off the mold! Here at SERVPRO of North Central Mecklenburg County, our job doesn't end when the air movers turn off. We make sure to repair everything back to the way it was, or better! 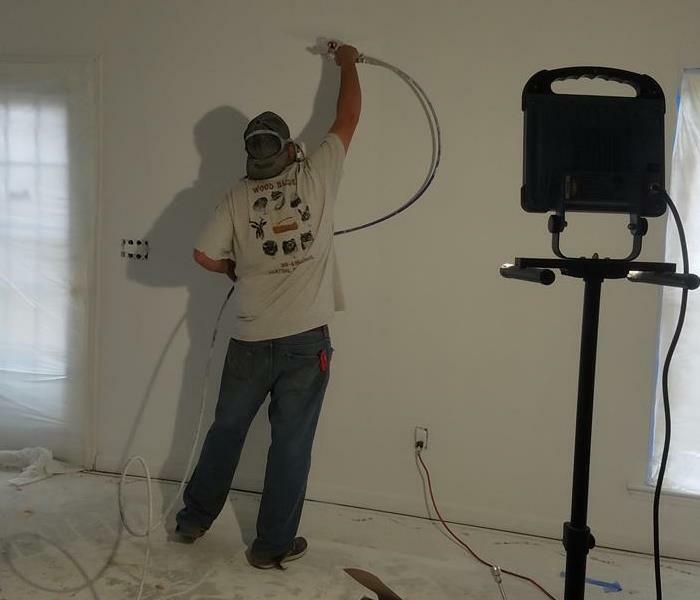 Here we can see one of our construction technicians painting the living room of a home in Charlotte after a water loss. This is just one of the many reasons to choose SERVPRO among the competition. We stick to our slogan; "Like it never even happened." No Job Is Too Small For SERVPRO! With any job that SERVPRO takes one, we are always prepared to expect the worst. People choose SERVPRO because we take on anything, no matter the size! This photo is a great example because it shows that our water technicians will go to any lengths to properly complete the mitigation process, no matter how uncomfortable it is. People often ask what is different about SERVPRO of North Central Mecklenburg County. Well one thing is shown in the picture. Many will not do sewer or bio-hazard clean up, but we do. The aftermath of a sewer line got into the standing crawlspace. As soon as the call came through our team was prepared to do get the job cleaned up and treated. 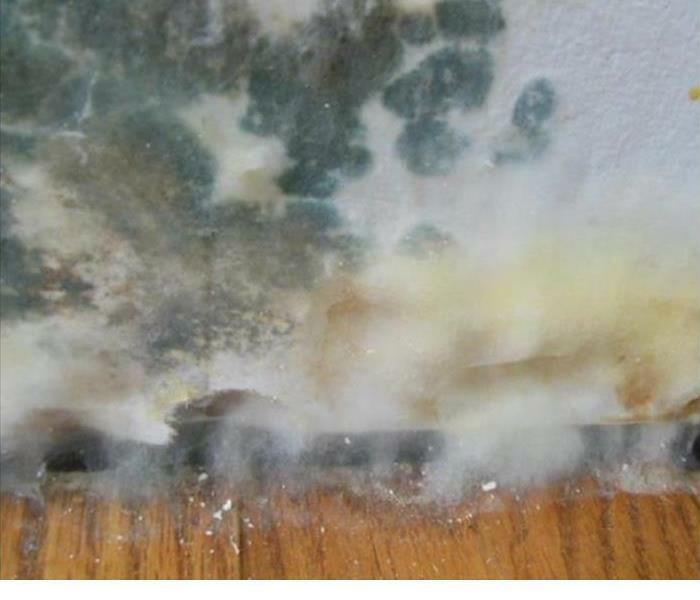 Mold is an issue in apartments, homes and businesses. This Huntersville business had a mold issue that SERVPRO of North Central Mecklenburg was able to help treat. 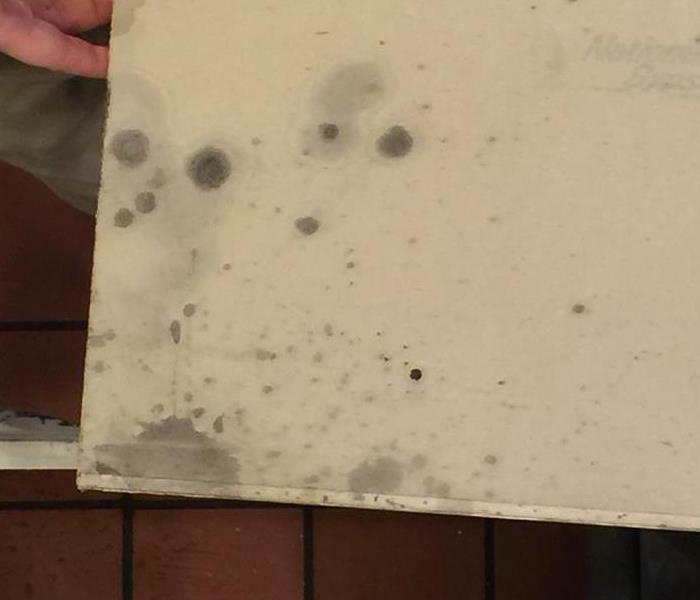 We are glad that businesses take mold seriously for the safety of its employees and customers. This photo is the after a fire in Charlotte, North Carolina. SERVPRO of North Central Mecklenburg County was on the scene to take care of the damage for the family in this home. We get calls for fire all the time. Each on of them are different, but we always show up prepared and ready to get the job done. SERVPRO of North Central Mecklenburg County does small jobs and big jobs. This picture is a local commercial building that many in the community visits for daily needs. This picture is of water damage mitigation process. So glad to be a helping hand. Water leaks are very common in kitchens, and bathrooms. These leaks seem minor and are often left untreated or pipes don't get fixed. After a while water leaks can cause mold. Make sure to take care of your water leaks before it creates a bigger issue. This photo is of a table set up at a local college. Our goal during this event was to share with the public what we do during water mitigation and why its important not to do things yourself. SERVPRO values the community and customer and want everyone to have safe and clean living conditions. 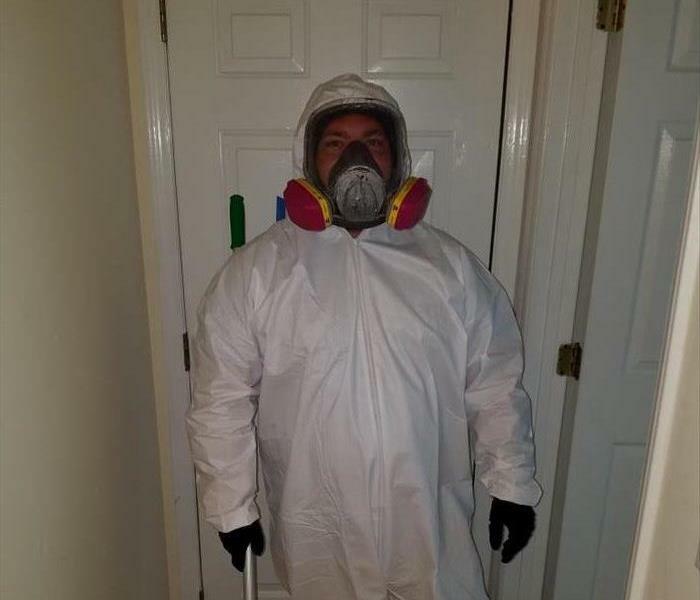 This is one of our wonderful technicians preparing to do work at a fire loss job in Charlotte. We make sure our guys follow safety guidlelines while making your home look "Like it never even happened." Different situations call for different protocols. Here is a case where containment of an area and personal protective equipment is needed for the safety of all. Let SERVPRO of North Central Mecklenburg County's personnel assess the situation for you and work to keep your house, your pets and yourself safe. 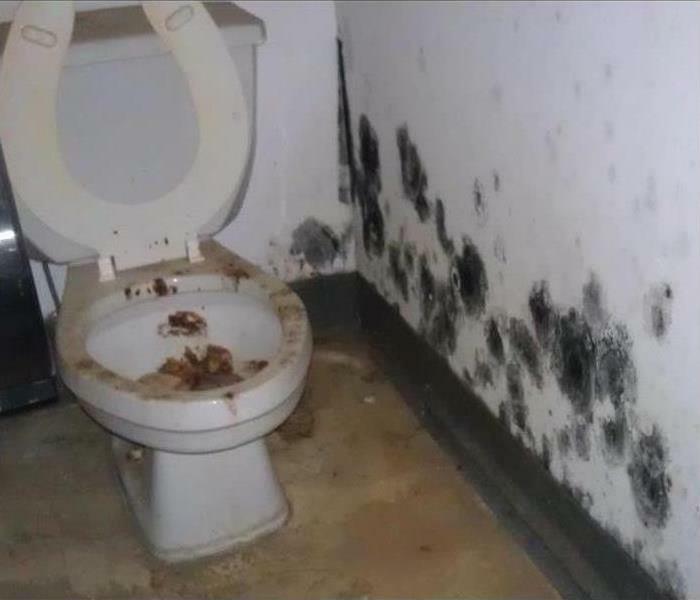 Mold is prevalent in the South. 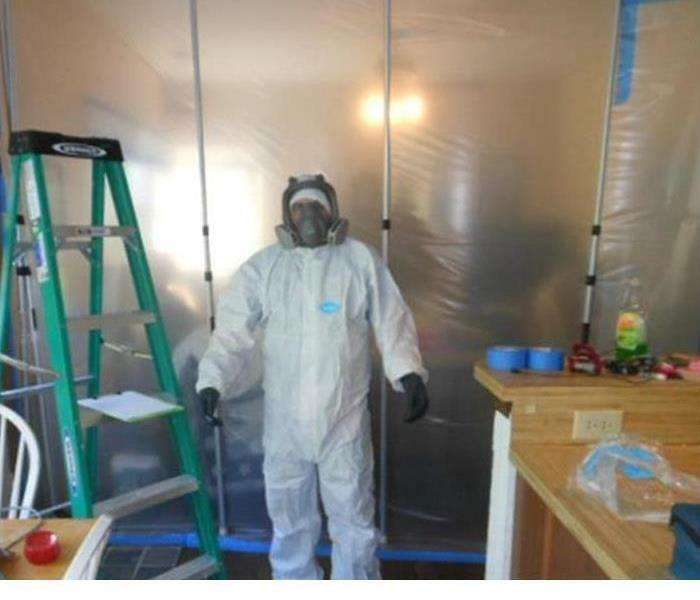 SERVPRO of North Central Mecklenburg County can help you determine the next steps if mold is present, We are trained in locating the sources of the moisture, determining the need for further testing and the correct steps for removing the potential hazard. Many homeowners insurance policies cover mold remediation. During hurricanes one things that is often an issue is the loss of electricity and water. When storms are known to be coming when shopping at your local grocery store you often find water, eggs, bread, milk all gone. Well SERVPRO of North Central Mecklenburg County has an idea for you. 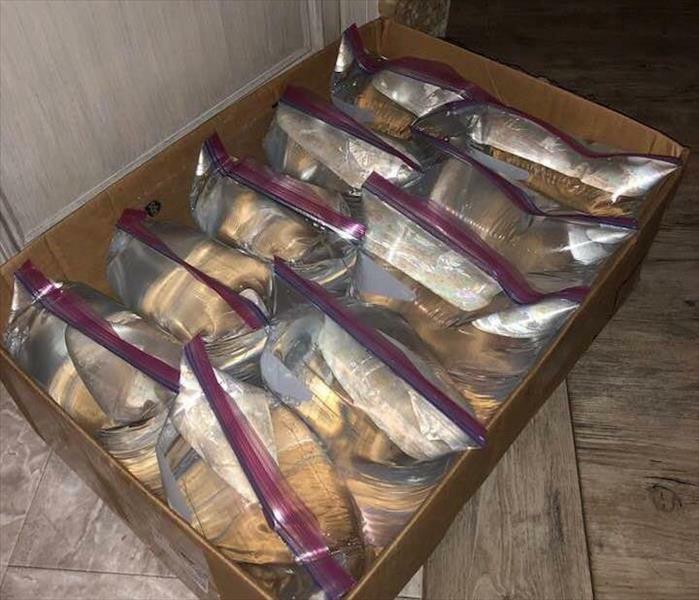 Get you some gallon size zip lock bags and fill them with tap water. This water will be good for drinking, bathing, and to make sure your pets are able to have a water supply. Our reconstruction team member Andrew is showing that skills and proper training are crucial for excelling at reconstruction jobs. 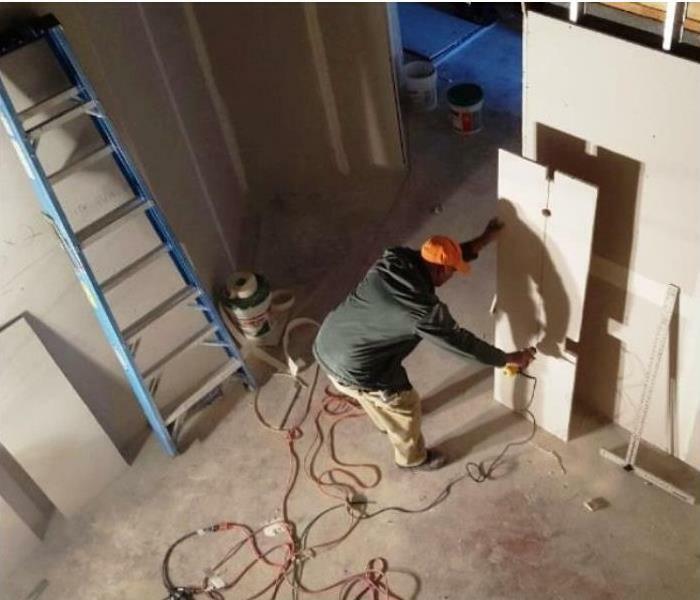 Here, Andrew is working on drywall installation on a large commercial facility. Here at SERVPRO of North Central Mecklenburg County pride ourselves on the quality workmanship we produce. Some of us fail to realize that a water damage loss can happen anywhere at anytime. 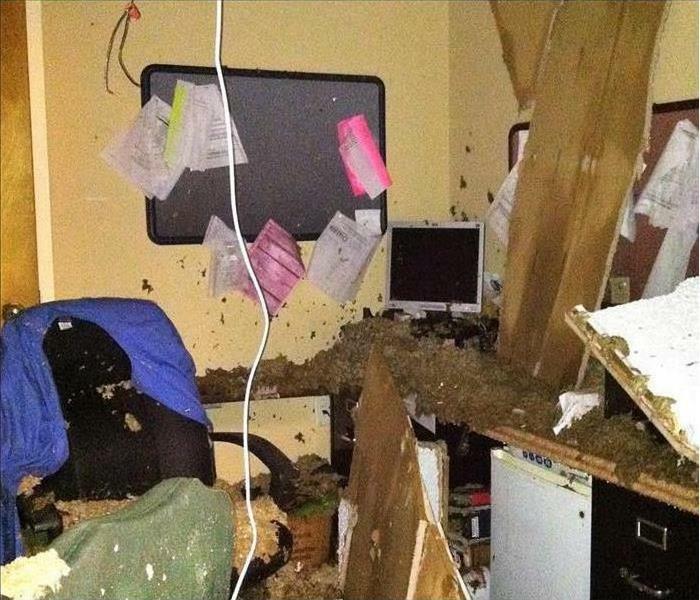 Here is damage to an office building where a big freeze was experienced causing the pipes to burst. This shows you what you may be confronted with when you show up for work on Monday morning. 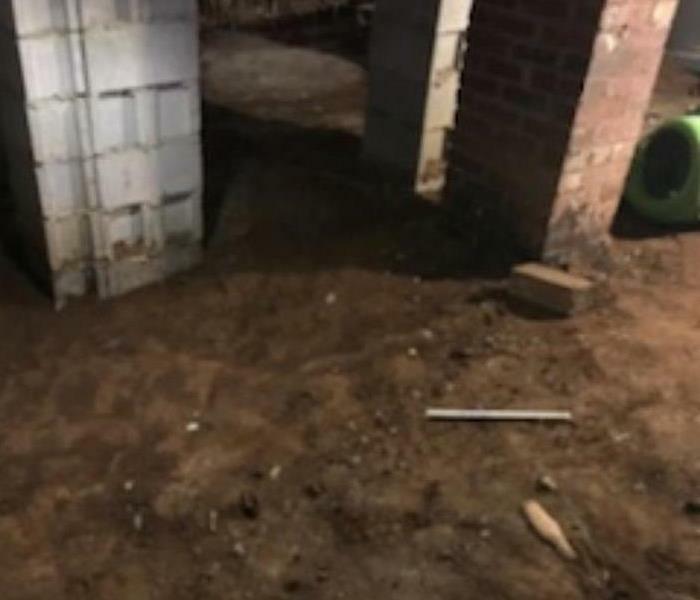 Many of the water cleanup and repair calls that SERVPRO of North Central Mecklenburg County responds to are not noticed by customers until they return to work on Monday morning of home from a weekend away. 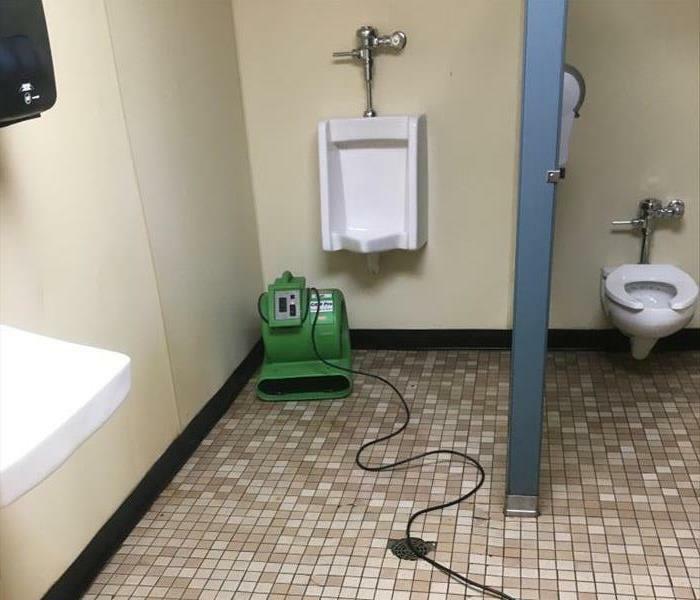 SERVPRO of North Central Mecklenburg County prides itself in having the proper equipment for our technicians no matter what the job is. 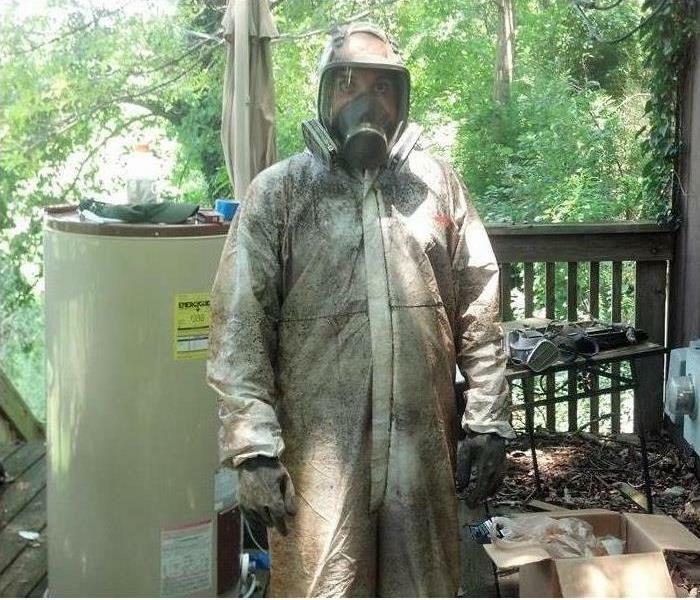 Tyvek suits and respirators are needed in some cases as seen in this fire cleanup in Huntersville, NC. We stay prepared because we NEVER know what our next call might be. Here at SERVPRO of North Central Mecklenburg County we have some of the best professionals in the business. Our team can help assess situations where a combinations such as bio-hazard and mold may both be present. Proper training is needed to understand how to clean both. So glad we have certified technicians that can take care of this for you. It could be mold. It could be dust. It could be your children's Barbie doll accessories or small leggo pieces. It could even be your dog's or cats hair. SERVPRO of North Central Mecklenburg County is here to evaluate the situation. 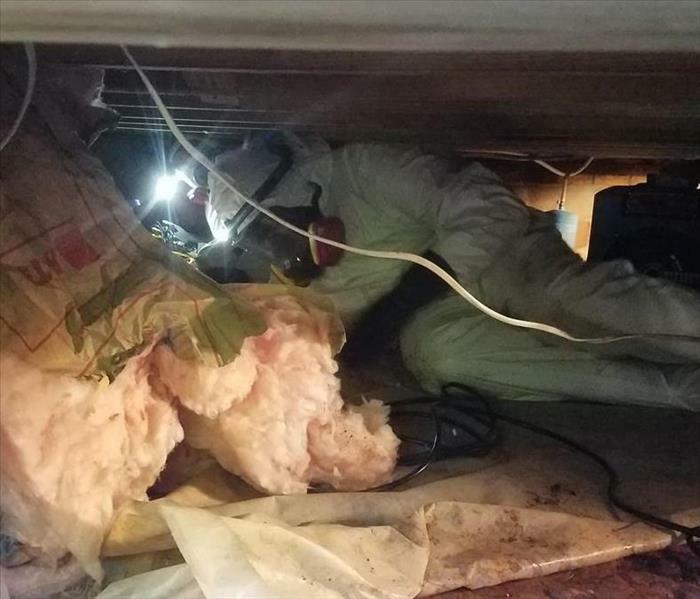 After we take a look at your ducts we will recommend the proper techniques for cleaning those ducts and put our skills to work. As specialist we know the best ways to help you. This is the aftermath of the company having multiple jobs at one time. Once the equipment is bought back to the shop the technicians work on making sure equipment is properly cleaned, filters are changes and equipment gets stored in its proper location. One of our green machines here at SERVPRO of North Central Mecklenburg County. Our van has been cleaned and received new tires and a check up. We take pride in our vehicles and making sure they stay up to standards. This home was heavily damaged by fire. SERVPRO of North Central Mecklenburg County was contracted to do the mitigation work and repair work for this home. We pride ourselves at being one of the few companies in the Charlotte area that offer turnkey services. 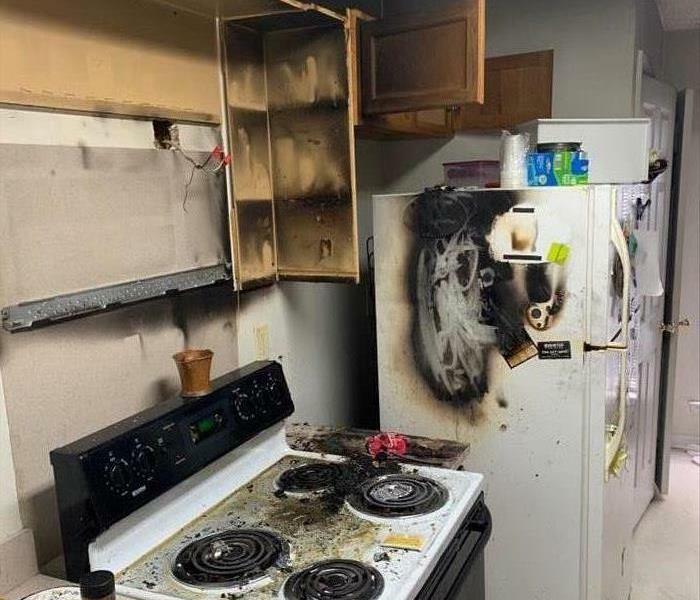 This fire was caused by an unattended burning cigarette. SERVPRO of North Central Mecklenburg County maintains a fleet of vehicles geared to the job situation at hand-be it water mitigation, fire mitigation, mold remediation or emergency storm assistance. Our drivers are trained in the safe operation of all of the vehicles. Taking pride in our SERVPRO Green Vehicles throughout Charlotte. SERVPRO of North Central Mecklenburg County takes pride in driving the distinctive SERVPRO green vehicles. They can be seen traveling throughout the Charlotte and Huntersville area. 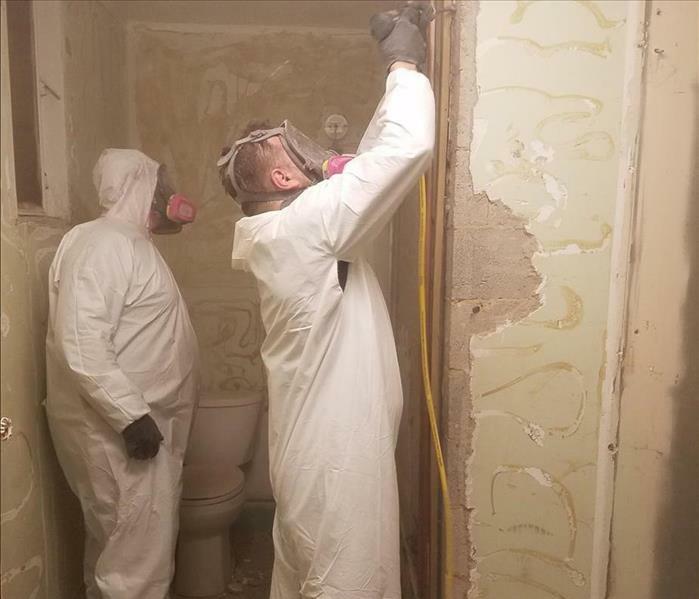 To us it is our commitment to those in need that we will offer a high quality professional experience be it water mitigation, fire mitigation or mold remediation. We also specialize in bio-hazard and trauma cleanup. 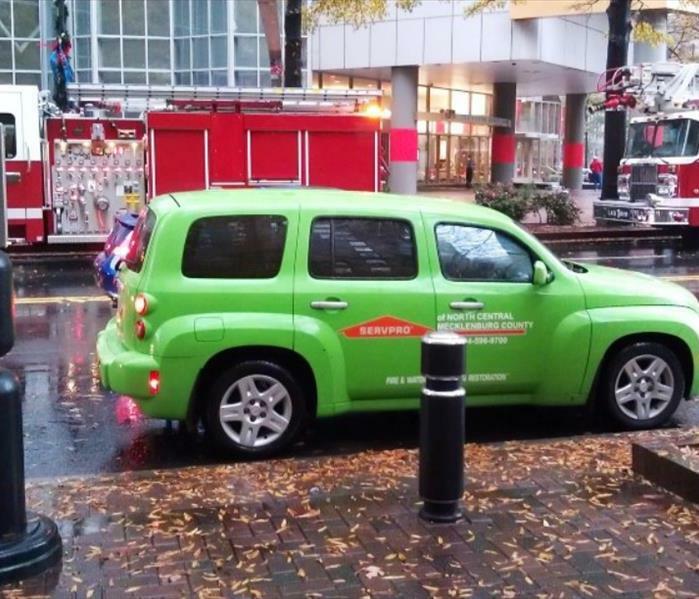 SERVPRO of North Central Mecklenburg County was recently called into action on an Uptown Charlotte Commercial High-rise Fire. Besides servicing the North Charlotte, Davidson, Cornelius and Huntersville areas, we can proudly service the Uptown Charlotte area. Here you see the stained residential wall of a longtime smoker in Charlotte, NC, but with a portion of wall that was covered by a hanging picture and not affected by the smoke. SERVPRO of North Central Mecklenburg County prides itself in the cleaning of structures and contents affected by smoke. 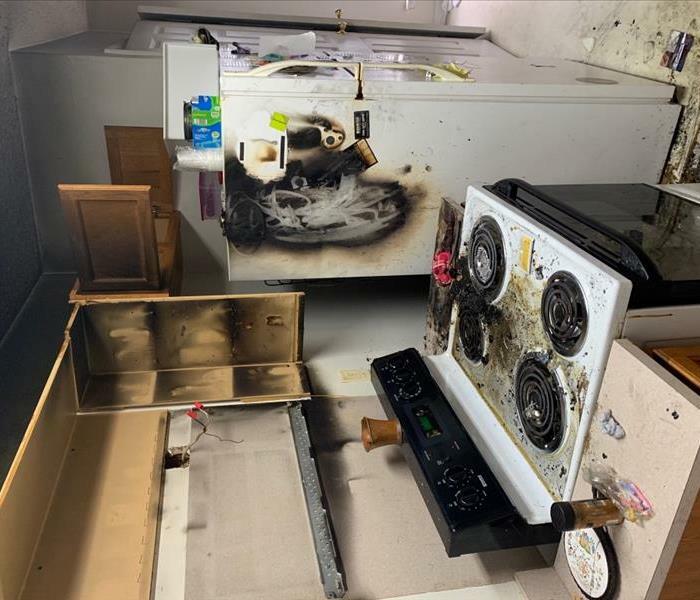 Smoke from general fires, smoking and grease fires all require the expertise of trained individuals to remove the stains and eliminate the odors. Water leaking from an upstairs master bathroom will many times affect numerous rooms and floors. If not caught early, water can travel through out the home. SERVPRO of North Central Mecklenburg County has highly experienced mitigation specialists who are trained at determining the flow of water and determining the best course of action. When water damages a downstairs room such as the kitchen, many times the water will flow into the basement or crawl space. SERVPRO of North Central Mecklenburg County is aware of this and will check your crawlspace for damage as well. Crawlspaces can be inhospitable areas for homeowners. 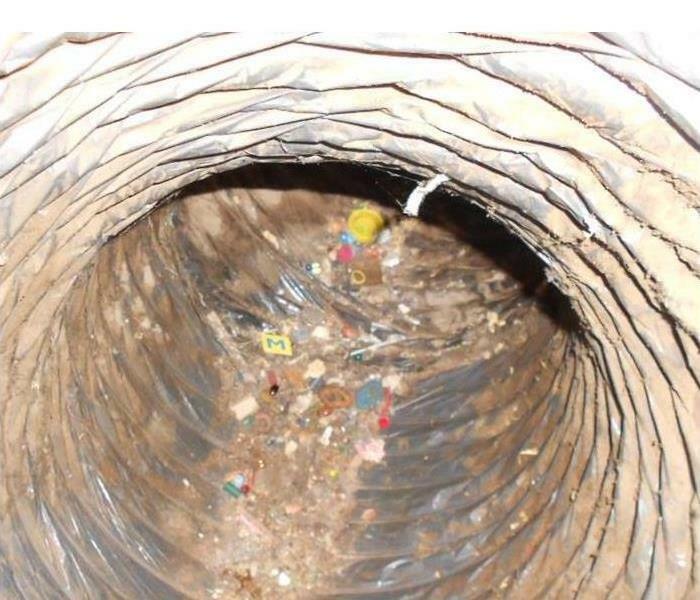 Leave the inspection of crawl spaces to the experts.